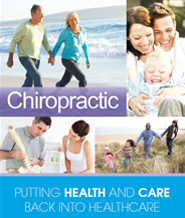 The United Chiropractic Association exists as a body representing chiropractors. The UCA stand behind the underlying principle of chiropractic: “healthy spine, healthier life.” By offering expert drug-free spinal health care and lifestyle advice, UCA chiropractors can help you to lead and maintain a healthy life. 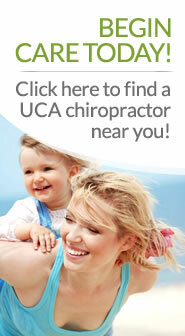 The UCA is the youngest chiropractic association in the UK with membership growing steadily since 2000. We commit to Protect and Advance the Principles of Vitalistic Chiropractic. In 2000, the need for a new Chiropractic association that would represent the subluxation based wellness paradigm was evident. 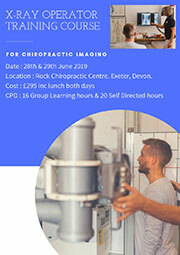 The UCA was set up to represent chiropractors who believe that the principles on which chiropractic was founded are as important today as they were in the beginning. We uphold the idea that health is the natural state for the human being and that the body is designed, or has evolved in such a way that it is always striving to return to a state of balanced health. The practice of chiropractic focuses on the relationship between structure (primarily the spine) and function (as coordinated by the nervous system) and how that relationship affects the preservation and restoration of health. In addition, Doctors of Chiropractic recognize the value and responsibility of working in cooperation with other health care practitioners when in the best interest of the patient. There are obviously limitations to any practice and there are times when drugs or surgery may be appropriate. 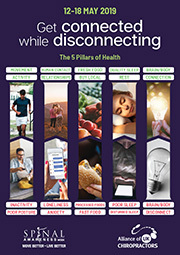 The ACC continues to foster a unique, distinct chiropractic profession that serves as a health care discipline for all and advocates a profession that generates, develops, and utilizes the highest level of evidence possible in the provision of effective, prudent, and cost-conscious patient evaluation and care. Chiropractic is concerned with the preservation and restoration of health, and focuses particular attention on the subluxation. A subluxation is a complex of functional and/or structural and/or pathological articular changes that compromise neural integrity and may influence organ system function and general health. Vitalism – We ascribe to the idea that all living organisms are sustained by an innate intelligence, which is both different from and greater than physical and chemical forces. Further, we believe innate intelligence is an expression of universal intelligence. Holism – The whole is greater than the sum of the parts. Supremacy – and also that the nervous system regulates all our bodily systems. Ethic – is the least invasive care. Humanism – We ascribe to the belief that individuals have immutable rights. We recognize and respect a universal intelligence in all matter and an innate intelligence within a living organism that drives to preserve life and, if uninhibited, will express optimal potential. The nervous system has a central role in regulating, coordinating and integrating the functions of the entire organism. We recognize that interference to innate intelligence (subluxation) diminishes healing capacity, with an alteration in the dynamic interrelationship between mental, physical and social aspects of the whole person. The art of Chiropractic encourages optimal expression of health by the detection, removal (adjustment) and prevention of nervous system interference. To use drugless, minimally invasive techniques to adjust identified subluxations throughout an individual’s lifetime. 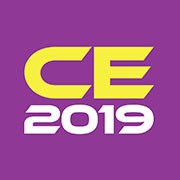 We commit to assist the process of self-empowerment with compassion and care, whilst respecting each person’s dignity, uniqueness and freedom of choice.